Chronic post-9/11 conditions, especially PTSD, led to early retirement and job loss. Asthma and PTSD are linked to persistent gastroesophageal reflux symptoms (GERS) in enrollees who had these conditions in 2003 and 2004, and to the development of GERD 10 years later. 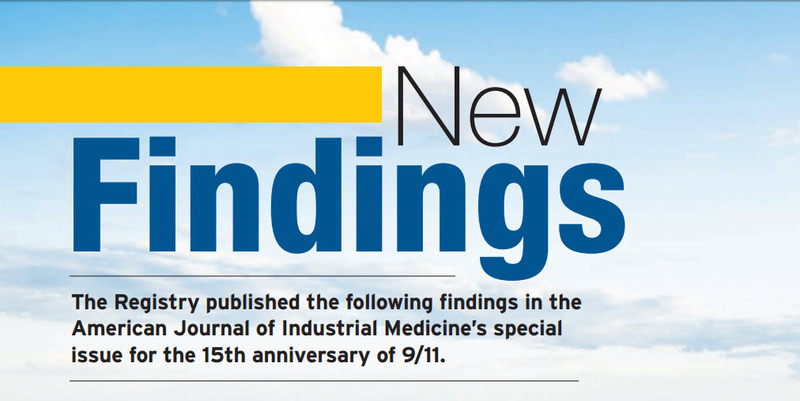 Survivors of the 9/11 attacks continued to suffer prostate cancer, thyroid cancer, skin melanoma, female breast cancer, and non-Hodgkin’s lymphoma in greater numbers than the general population. Survivors from the Twin Towers were more likely to have post-traumatic stress disorder and to binge drink than were survivors from surrounding buildings. New asthma cases for workers at Staten Island’s Fresh Kills Landfill were similar to new cases for Ground Zero rescue and recovery workers. The more that recovery and cleanup workers were exposed to human remains, the greater their risk of suffering from persistent PTSD. Nearly half of all police who had probable PTSD (self-reported rather than clinically diagnosed) also had anxiety and depression. Most victims of PTSD had symptoms that persisted or worsened over time. Certain factors, such as a low level of education, low social support, and high WTC exposure, contributed to persistent or worsening symptoms. The WTC Health Registry, funded by the National Institute of Occupational Safety and Health, is a service of the NYC Department of Health and Mental Hygiene and the federal Agency for Toxic Substances and Disease Registry. More than 71,000 enrollees who were in the vicinity of Ground Zero on or after the attacks make the registry the largest project in the United States monitoring the after-effects of a large-scale disaster. If any organization has an eye-in-the-sky view of the widespread and deeply felt health effects of 9/11, it’s the WTC Health Registry. Unfortunately, the picture they paint is one of persistent suffering for those affected. As advocates for 9/11 victims, we at Barasch & McGarry remain committed to helping our clients obtain the full range of benefits they are entitled to. If you were exposed to Ground Zero toxicity following 9/11, learn about your rights to health screenings and treatment. Contact the experienced attorneys at Barasch & McGarry who have represented 9/11 survivors from the outset. Call 888-351-9421 or contact our office online.